This page has a list of playing card companies (closed or operating) with short information about each one. Here you can find different playing card manufacturers (printers) and playing card producers. Some companies have additional separate pages fully dedicated to them, their history. Appropriate links to such pages are pointed out on this page in the short descriptions of the companies. Companies which organize and execute a playing card printing process are refered as playing card manufacturers or playing card printers. Companies or persons which place an order for playing card printing are refered as playing card producers, and are mentioned on this page only if they have produced at least seven really different (recolouring and small changes in details aren’t taken into account) packs of playing cards. Playing card producers with more modest achievements can be found on the “Hunting Ground” page. A tip: Deck search by name or country is better to execute on the “Index: Reviewed Decks” page. The Piatnik factory was established by Anton Moser in 1824. Ferdinand Piatnik took over in 1843, marrying Moser’s widow a few years later. Piatnik’s three sons joined the ranks in 1882 adding their names to their father’s company name. By the turn of the 19th century, Ferd. Piatnik & Söhne began to expand, purchasing some playing card companies. Today the Piatnik Group is a recognised symbol of Vienna which along with its many cafes is a city of card players and board gamers. It markets and sells through its own subsidiaries in several countries and through a network of exclusive distributors in other countries. Naipes Heraclio Fournier S.A. was founded in 1868. Heraclio Fournier created a little lithography factory with the aim of being an independent playing card manufacturer. He won a lot of prizes in Paris, Madrid, Barcelona, etc. His grandson Félix Alfaro Fournier started a playing card collection and opened a museum called “Museo Fournier de Naipes” in 1970. Fournier (modern name) is still based in Vitoria and has its playing card factory in Villareal de Àlava (Spain). In 1980s, it followed a process of an integration with the United States Playing Card Company (USPCC). USPCC bought the company in 1986. Russel, Morgan, & Co., an American printing company, had a very successful business in the end of 1880s. So, the company made a rebranding and changed its name to the United States Printing Company in 1891. The playing card business was successful enough that it was spun off as a separate business in 1894, as the United States Playing Card Company. The same year, it began its history of acquiring smaller playing card manufacturers. As a result, well-known and reputable brands such as BEE®, BICYCLE®, KEM®, AVIATOR® and HOYLE® are the fruits of its labor. USPCC has been a subsidiary of Jarden Corporation since 2004. Copag was established in 1908. It’s a company based in São Paulo, Brazil. The company has produced plastic playing cards for poker and bridge. With the recent popularity of poker, Copag’s business has quickly grown. In 2005, the World Series of Poker slated Copag as their official playing card. Copag has been a subsidiary of Cartamundi since 2005. KEM Cards is an American playing card company. It printed its first decks in 1935. Modern KEM playing cards are made entirely of cellulose acetate material, the most durable plastic used today in playing card production. Its cards are available with various back colors and designs in both poker and bridge sizes. KEM bridge cards (standard Bicycle artwork) were adopted as the official cards of the World Series of Poker in 2007. KEM has been a subsidiary of the United States Playing Card Company since 2004. Gemaco, Inc. is an American manufacturer of playing cards for the casino, promotional products and wholesale gift industries. This is a family owned business located in the metropolitan Kansas City area. It was established in 1965. The company is proud of its state-of-the-art equipment. GEMACO has been a subsidiary of Gaming Partners International, Inc. since 2014. Cartamundi, also called Carta Mundi, was established in 1970 as a joint venture combining the playing card activities of Brepols, Van Genechten and Biermans. So, the new company had got a 200 years experience in the production and sale of playing cards. Cartamundi has established twelve international sales branches throughout the world since 1970. It produces and sells playing cards through its manufacturing and sales subsidiaries. Cartamundi acquired Swiss AGMüller (Switzerland) in 1999, Altenburger und Stralsunder Spielkarten (Germany) in 2000, Spielkartenfabrik Altenburg (Germany) in 2002,Games & Print Services, Ltd. (U.K.) in 2003, 50% of Copag (Brazil) in 2005, Dertor Poland (Poland) in 2005 and France Cartes (France) in 2014. The Expert Playing Card Company was established by Bill Kalush, a head of the Conjuring Arts Research Center, in the end of 2013. EPCC of New York City is a new project of the Conjuring Arts Research Center. It doesn’t have its own printing press and equipment. The company find various resources and factories for cards and accessories and works with them on the basis of subcontracts. 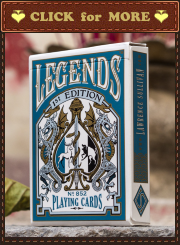 Also EPCC works very closely with Lawrence Sullivan and his Legends Playing Card Company of Hong Kong. Its primary goal is to create and produce the world’s finest performing playing cards. In the end of 2013, the Legends Playing Card Company was established by Lawrence Sullivan, an American magician working in Hong Kong. LPCC doesn’t have its own printing press and equipment. It uses subcontracts for playing card manufacturing and packaging. LPCC only works with manufacturers who can re-learn the ropes, propose new techniques and a willingness to experiment. Big Blind Media is a magic media company dedicated to producing instructional DVD’s and unusual playing cards for magicians / cardists. 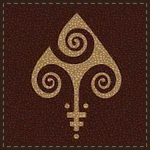 Formed by Owen Packard in 2004, the company ethos is to present the strongest, most innovative and most workable magic. With a background in music video and television production, Bigblindmedia are able to achieve such aims. It collaborates with some biggest names in magic (Greg Wilson, John Bannon, Joshua Jay). Bigblindmedia is also home to the Karnival series of Bicycle Decks. The Blue Crown, Inc. (The Blue Crown) was founded and launched by an American magician, Alex Pandrea, in 2011. His goal was to create a magic website unlike any other. The Blue Crown is dedicated to providing all magicians with the tools and techniques they need to amaze audiences and grow as entertainers. Its team try to create top-quality DVDs and downloads, as well as cutting-edge decks of playing cards. The Conjuring Arts Research Center (CARC) is a not-for-profit organization located in US. It’s dedicated to the preservation and interpretation of magic. The organization was established in 2003. CARC seeks to be an important cultural centre. Appealing to practitioners and performers of the conjuring arts, academic historians, collectors, writers and general enthusiasts, CARC fills the gap between private collections of magic related history and information, and the public. In terms of a vault of magic literature it is like The Royal Library of Alexandria for appropriate target audience. 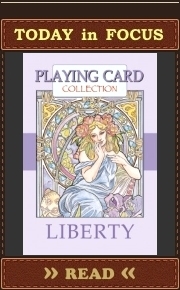 CARC also produces packs of playing cards (mainly dedicated to magic needs). EPCC manufactures CARC’s decks now. Born in 1987 in Torino, Italy, Lo Scarabeo is now a leading international company in the mind, body and spiritual health publishing, with a main focus in Tarot publishing. Lo Scarabeo is one of the most important Tarot publishers in the world. But it also produces packs of fully custom playing cards. Decks from Lo Scarabeo are printed with multilingual explanations of the playing card themes. Winning Moves was founded in 1997 by four highly respected professionals in the games industry (Tom Kremer, Alex Randolph, Mike Meyers, Phil E.), who between them have over 100 years of experience. It has the right to one of the most famous English trademarks in the world of playing cards – “Waddingtons” (Waddingtons No.1).